Recently I was searching Google for “startup consultant” to see what I might find. 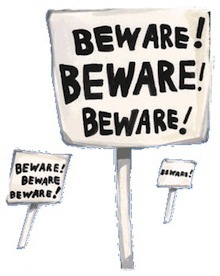 I came across this article by John Greathouse titled Beware the Consultant. No self-respecting, hard-working consultant would sit back and take hits without defense, so in true poetry slam style I thought I’d write a quick retort. The one that asks for the world. The one that wants everything done yesterday. The one that drags their feet paying bills or loses your invoices. The one that moves the goal posts halfway through a project. The one whose left hand doesn’t know what the right hand is doing. Of course in the real world things are much more nuanced than this black and white picture. Certainly there are probably some consultants that fit John’s description, but there are others that are loved by their clients. There are tons of “little guys”. There are freelancer’s that do a thankless job. Consultants provide much needed plugin solutions for firms. They work as long or as short as necessary. They’re available, when you can’t find anyone! They’re often self-taught – maintaining skills on their own dime. They’re communicators – or they wouldn’t succeed in consulting. They are small business owners – so they relate to your real business pain. It’s always performance based because in my experience the startups I work with are usually bigger than I am. So if they decide not to pay being unsatisfied with the work, there’s little I can do about it. I do believe in being open to different types of arrangements, sometimes day or week based on time and materials, and other times project based. However the devil is very often in the details with regards to “quantified, clearly understood results”. Although Mr Greathouse may describe *some* real-world or big-corp consultants, they are by no means representative of the lot of us.